My buddy (who I will refer to as Lanfranc) and I play TF2 fairly often. It’s a fun diversion that you can sink into for an hour and then disengage from without to much remorse. My favourite class is the Sniper. One of the physically weaker characters, the Sniper relies on stealth, guile, and…oh yeah…a kickass rifle with a huge scope on it. Part of my goal is to be able to have at least a 50% headshot ratio. 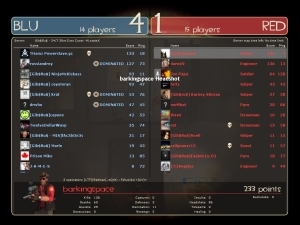 So, in a moment of nerdery, I am going to post a JPG of the scoreboard from one of the TF2 servers I play on. 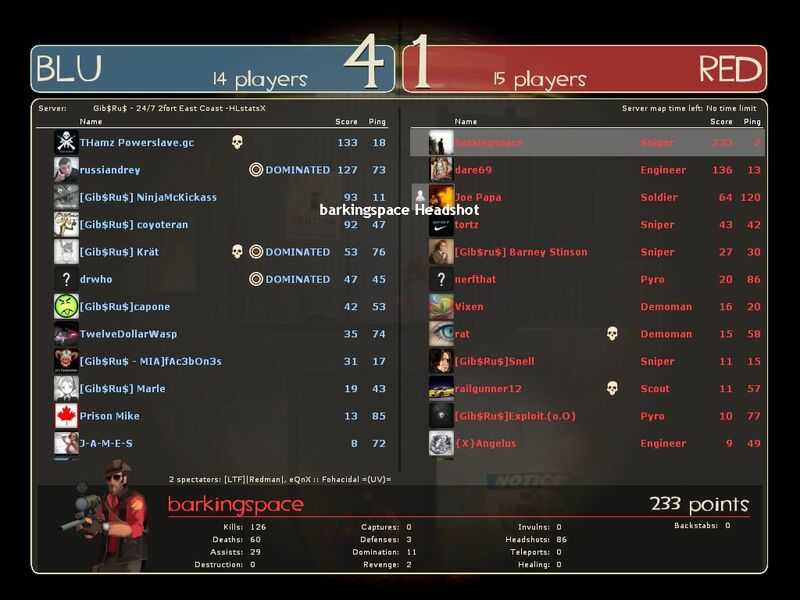 This is the scoreboard from earlier tonight, just before I logged off. Nawt tew shabby eh, Wankehs?